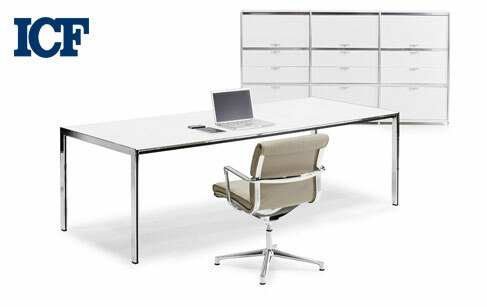 ICF is an Italian company that designs and produces top quality office furniture of great aesthetic impact which is immediately recognisable and noted for its distinctive design. One of the company’s primary goals is to produce comfortable and functional products that make the working environment more practical and pleasant, eliminating all superfluous elements in the process. ‘’The products are the result of a combination of the long artisanal tradition that has made Italian-made products famous across the world and constant innovation in the production and industrial spheres.